Tagged The Last Survivors, The Last Survivors videos. 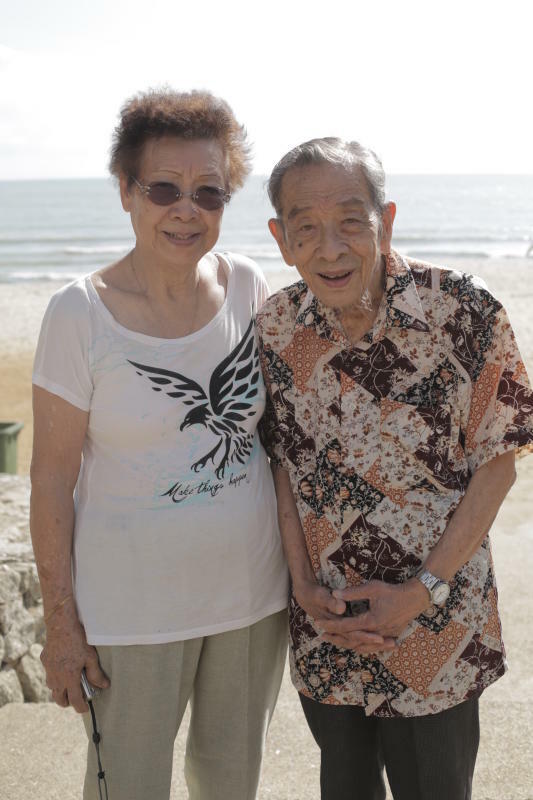 Walking hand in hand with her husband on Teluk Cemepedak beach, Kuantan, Ethelin Teo’s smile reveals none of the pain she has lived through. 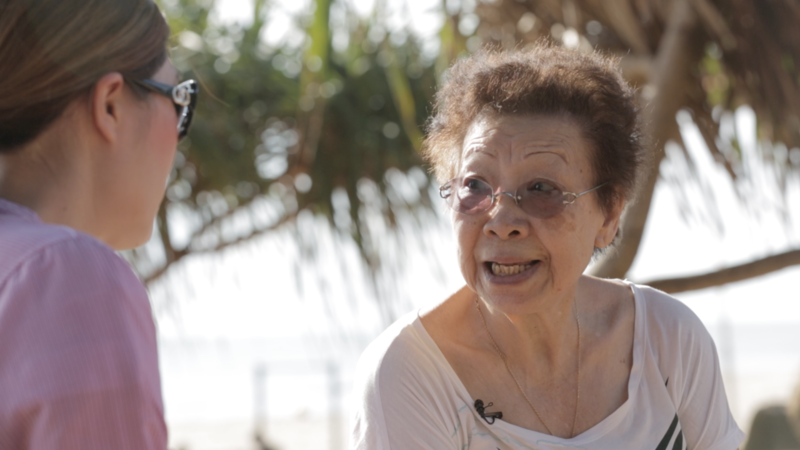 When the Japanese attacked Kuantan during World War II, she was only 13. They took shelter for a while at a kind farmer’s house away from Kuantan town, where the family slept on the mud floor. Even then, the family decided it was safer to live in the jungle. “The Japanese came out to the estates, so we hid in the jungle until someone told us it was safe, then we returned to the farmer’s house,” she said. Teo pictured during the shoot at Teluk Cempedak. She said going back there reminds her of all the friends who’ve passed away. After the initial invasion, Teo’s father cycled into town to see how things were and the stories he brought back were horrific. The British soldiers were lying dead all around town, the bodies scattered and broken up. 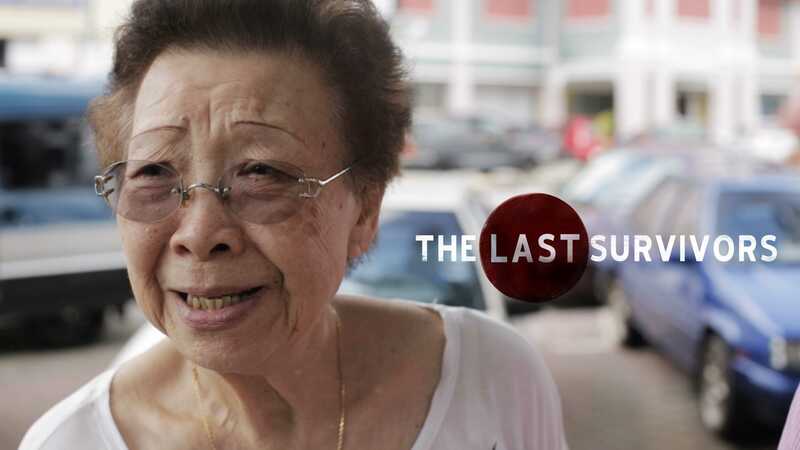 Teo was recounting her story for an episode of The Last Survivors, an online video series on Malaysia’s WWII survivors to commemorate the 70th anniversary of Japan’s final surrender in Kuala Lumpur. 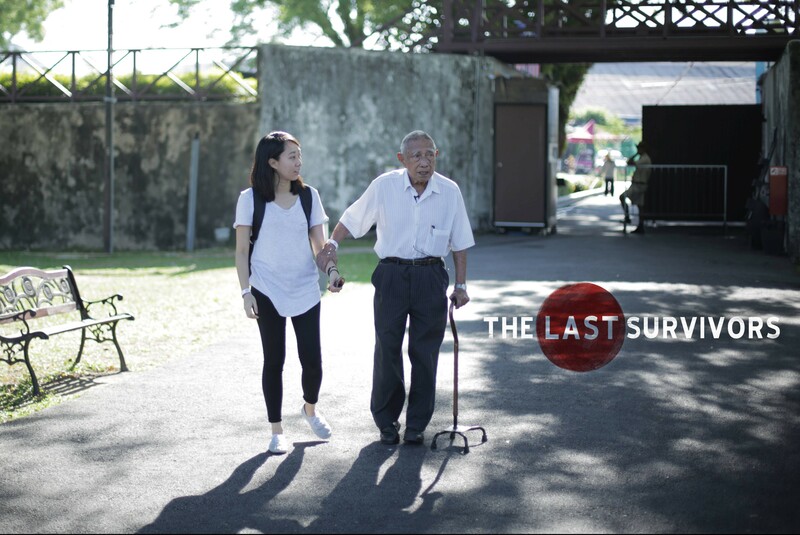 Though the memories were painful, she hopes the series can help remind young Malaysians of the horrors of war. The retired nurse was born in Singapore, but returned to Kuantan when war broke out. She was forced to disguise herself as a boy, selling nyonya kuih or cookies her mother baked. “My sister stayed indoors, hiding from the Japanese who were looking for gu niang (young girls). I looked like a boy at the time, so I dressed in my brother’s clothing so I could go out and run errands,” she said. At night, she helped look after bicycles with her older brother at the local fun fair. “We charged 10 cents per bicycle,” said Teo. Fortunately, the soldier lost patience and moved on. Other women were not as lucky. Many were taken as “wives”. One of these wives, who lived with a Japanese officer at the Hokkien association building on Jalan Bukit Ubi, sold rice to the townspeople. Most families were surviving on rations from the Japanese, which was just two milk tin’s worth of rice. Teo said that the Japanese didn’t touch married women, so a lot of girls were married early. “But there were some women, maybe prostitutes, who followed the Japanese willingly,” said Teo. The new facade of Chung Hwa school on Jalan Bukit Ubi, now a bank. 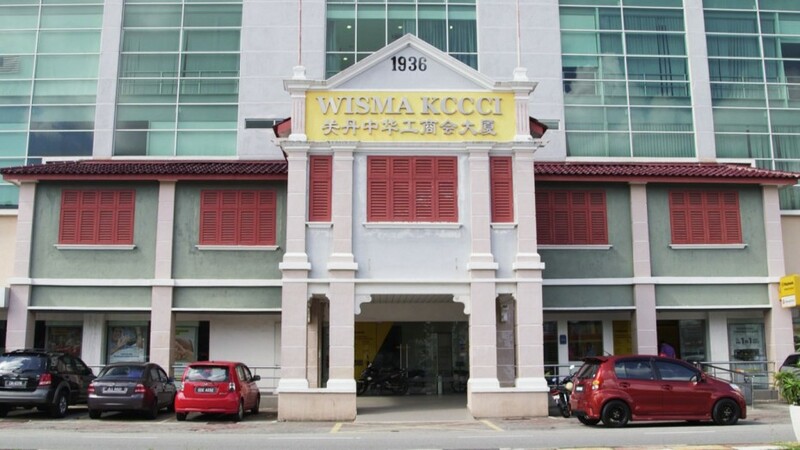 Down the road from the Hokkien Association was the old Chung Hwa school, which the Japanese used as one of their offices. The school has since been turned into a bank, with a fresh coat of paint but the original facade intact. “I remember a farmer being slapped repeatedly until he fell, because he forgot to bow to the Japanese guard in front of the school,” she said. Teo heard stories from her father about the torture that went on within the school, and in front of the old police station. My father’s friend had a pipe stuck down his throat and they pumped water in, before stepping on him. The water came out from every part of his body. Thieves, however, were punished even more mercilessly to send a message to the people. 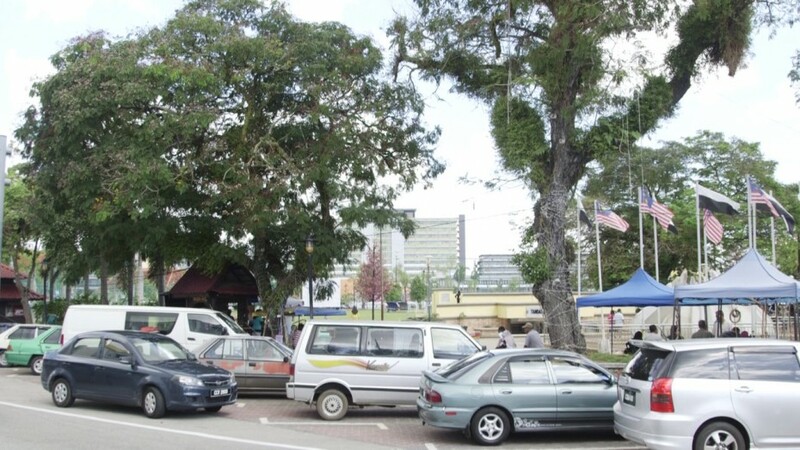 Teo said thieves were hanged to death in public, on a row of trees at Padang Majlis Perbandaran Kuantan (MPK). During the war, there were public trials at Padang MPK, where the crowd would point out who deserved to die. Now surrounded by food stalls, these two trees had bodies hung on them during the Occupation as a warning to would-be thieves. The “traitors” would then be taken away in a truck to Teluk Cempedak, where they dug their own graves before being shot. Looking back, Ethelin said she was too young to feel anything. Most of her friends from that time have passed away, and Teo said it saddens her how young people have so little knowledge about this important part of our history. Ethelin Teo and her husband are all smiles as they pose at Teluk Cempedak beach. my grandma used to tell us stories about the invasion. she was 5 i think, and her grandpa at that time burried all their birth certs and ran to the woods to hide. So till today we dont celebrate her birthday cuz she dont know the her birth date. Mother’s day is the only day we celebrate for her. Although the japanese are different today, my grandma still have dislike them, probably because her relatives and uncles etc were tortured during those days. 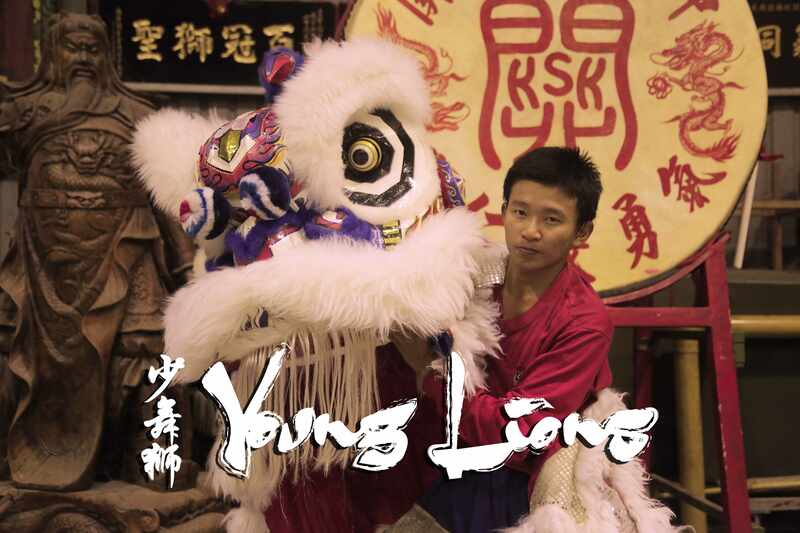 Hi YS Ting, thanks for sharing your grandparent’s story. Did they share with you any other memories? Where were they during the war? this really triggers all the emotion i had when i use to listen to my grandparents reminiscing their childhood during the invasion and the great war. If i did recollect my memories of the story correctly, either my grandpa or grandma lost his father because the japanese bombed the only bridge that connects to the hospital from their place and they could not reach the doctors for help. Also, I recalled what my mom told me that when she was really really young, she remembered that they will never go out after 7pm. At night they will locked themselves inside their house and turn off all the lights. Then when the night goes deeper, they would heard screaming and crying and guns shooting, and people covered with bloods all over or people who have lost some of their body parts would bang on their house door searching for shelters, and it is common that all of them would be turned away and ignored for their own safety. Those are really sad stories… But I’m sure there were uplifting stories as well, of how our grandparents worked hard to survive. That’s one thing we hope people will get from this series as well – how inspiring these survivors are. It’s not just about the atrocities of the war. My grandma used to tell us about the war. They were always hungry and had to run and hide from the japanese. It’s interesting and sad at the same time. Indeed. It’s so easy to take their stories for granted when they say “we had nothing to eat”. But it was so much more than them. Listening to these survivors talk about the war, you hear about the constant fear they lived under, and how it affected them. Thank you Mrs Toe for telling your story. Yes, history is important and pray God help us live for His glory and not to destroy lives. My mum used to travel on the roof of the train during the Japanese occupation to buy rice and to sell in her village to survive. I am a Malaysian living now in Belgium. Hi David, where in Malaysia was your mother during the Japanese Occupation? My mother told me that she was also 13 and living in Ayer Itam in Penang during the Japanese occupation. One day they were bathing in the river and a group of Japanese soldiers saw them. They pointed to them and were going to catch them, so my mom and the other girls ran and hid. They said that they could hear the soldiers searching and when they could not find the girls, they got angry and chopped off the banana trees with their swords. My mom was terrified. To this day she hates the Japanese even though I tried to tell her that the current generation of Japanese are not responsible for those atrocities. When you are traumatised like that, you never forget it. One of our upcoming survivors (also from Penang) said he’ll never forget some of the things he’s seen and heard. 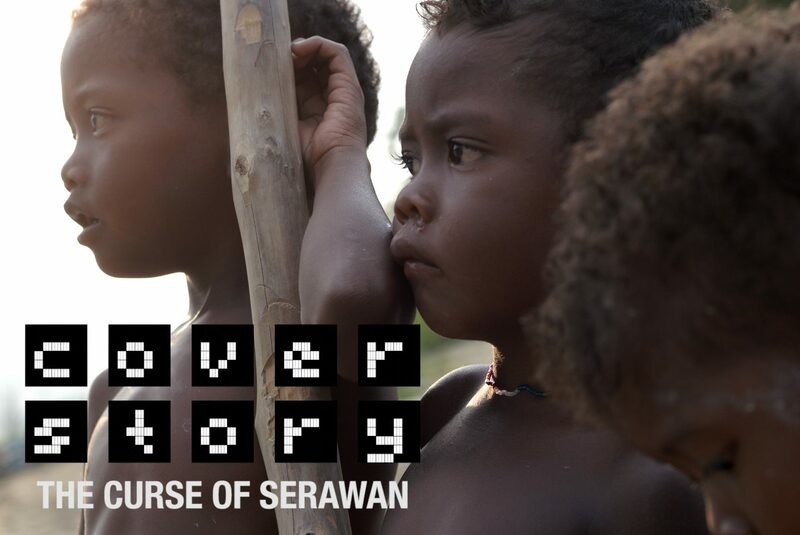 Thanks for sharing your mother’s story with us – the river being the Sungai Ayer Itam? Can we add your mother’s story to our interactive map? My late grandfather and his siblings used to tell me all kinds of experiences related to the war times. In fact, he was so emotional about his experiences that he never stopped telling us all about it. Before he passed on, he was honoured to publish a book entitled “Tainted Glory” where he captured his experiences about the war times with kempetai, guerillas and courageous acts by Dr. Sybil Kathigasu. In his frail aged-condition, he made it a point to attend his book launch at the Papan town which was depicted in his book, where it all began. He wanted everyone to know what had happened during that era and how all united to survive such tough times. The words are descriptive but he often told me that we can never even imagine what the folks at that time went thru daily. I am very grateful that I had the opportunity to hear it all from him first-hand! Thanks for writing to us Elaine and it’s great you were able to hear about his experiences first-hand. Would you like to share them with us so we can include it on our interactive map and on our page for submitted stories by readers and survivors here http://rage.com.my/survivors-contribution/ ? My late father used to tell me many stories during the japanese occupation.One interesting one was an incident when my father who was a cook for the japanese was asked to cook an elephant for the prisoners.He boiled the chopped pieces of elephant meat for many hours with sea water and then served them to the prisoners.It seemed that there was no complain about the tough meat. Hi Peter, thanks for sharing your father’s experience. Where was your father during the war and where did they get the elephant meat from? My mother used to say that our great aunt had to choke one of her baby daughter with mud to keep her from crying to avoid attention from Japanese soldiers to save the entire family. I even heard from some people saying that they could not speak English or having Jack Union flag or certain things made from Britain. It is so sad to know that even though you unknowingly kept something or accidentally conversed in certain language, might even kill you or suffer worse torture. Hi Matthew, thanks for writing in. Do you know where your grand-aunt was residing when this happened? I am not sure of the exact location but it was in Johor Bahru. Great series, R.AGE! My late grandmother (a Hokkien) had a similar experience when Penang was bombed and taken by the Japanese. It’s no wonder that the generation who survived the Occupation (and the 13 May riots) are angry that the current generation can easily stoke racial and religious flames. my grandfather survive the war because he could speak japanese, the whole family survive because he was their translator. That was in Sibu, Sarawak . my father was a young boy. he is 79 years old now. my father dislike the japanese, till today he refused to visit Japan. probably the villager suffered. soon he will be celebrating his 80th birthday, for the frist time i will ask him in detial abt his experiences during that time. my mum and her sisters,too survived the war at the coastal area of Sarawak, called Matu. she would tell me how the family ran into the mangrove and hid there, and how villagers would serve the japanese soldiers ,coconut juice stir with copper spoon, which would make the soldiers giddy..after drinking it..how during the night, how the villagers escape using sampan further down or up the stream.. they only survived on tapoica..